It’s that time of year yet again! We’ve got the perfect Valentine’s Gifts to show you care! From luxury truffles to indulgent hand creams, and from designer hand bags to statement jewellery, here’s the Luxuria Lifestyle list. Take a Trip to the Orient with Ted Baker’s gorgeous new Gem Gardens luggage range. Our favourite gift for Valentine’s has to be their ultra chic, beautifully presented vanity cases – perfect on their own for short trips and overnight stays, or beautifully complimenting the full sized suitcases. With femininity and romanticism the inspiration for this stunning collection, delicate hand drawn 3D florals and sparkling diamonds make these small cases really stand out. The light weight collection features the trademark Ted Baker colour pops of startling pinks, blues and greens, which go wonderfully with Trip to the Orient’s midnight black and muted pastels palette. With a rose-gold finish to the zips and a handy optional strap included, you can also opt for the Oriental Blossom in silver grey, cream and pink. Each case is lined with the exclusive Ted Baker Birds of Paradise print with zipped compartments for easy organisation. Now all you need is to book the five star hotel… All suitcases come with a five year guarantee. Valentine’s Day – absolutely perfect for a proposal and oh to be the lucky lady that receives this absolutely stunning diamond ring set in platinum. 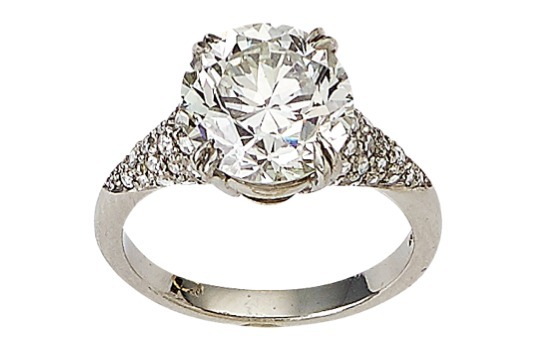 The price reflects the quality (£65,000) – a contemporary platinum single stone ring, featuring a re-faceted Old European cut diamond set in a double four claw double gallery setting with grain set rose cut with diamond shoulders to a D-section shank. Susannah Lovis, one of Mayfair’s most respected jewellers offers a bespoke service as well as offering a stunning collection of jewels from across three centuries with collections ranging from £200 to £79,000. Check out more of her breathtaking engagement rings here, or if you’re looking for a vintage engagement ring instead, check out Berganza! It’s a box that looks too good to open, but then these chocolates are too good not to eat! Make the special someone in your life smile with these absolute divine chocolates from Harvey Nichols. Unwrap to reveal 24 perfect luxury truffles in individual miniature cases, dusted and looking way too delicious to eat! 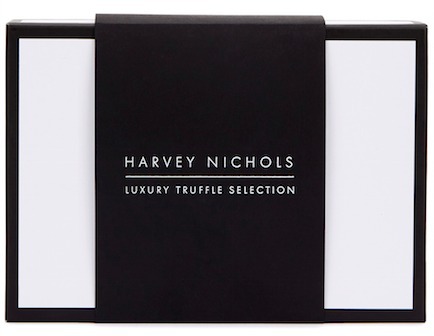 The 250g box contains a decadent mix of milk, dark pink Marc de Champagne and sea salted caramel truffles – six of each. We truly heart Daisy London’s Valentine’s Day themed collection of jewellery. With a meaningful range of pieces, inspired by Buddhist spirituality and born out of a love for travel and adventure along with a love of fashion, these stunning necklaces, bracelets, rings and earrings will bring good karma to all that wear them! 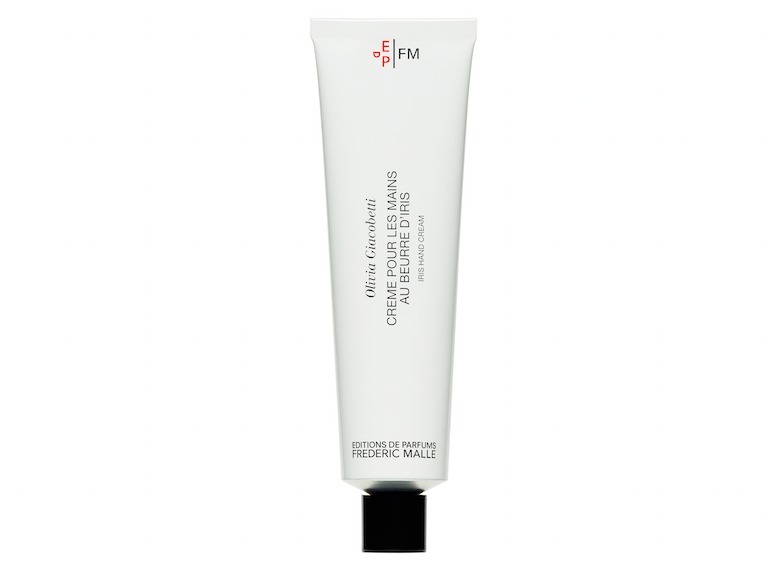 Sometimes it’s the simple yet luxurious things in life that make the best gifts… Frederic Malle’s Creme Pour Les Mains Au Beurre D’Iris hand cream has been specially designed with patented molecules preventing dehydration of the skin, whilst a protective film works against pollution and ageing. Moisturising and nourishing, this hand cream is both rich, yet light and hydrating, absorbing quickly into the skin without the need to keep reapplying. French perfumer Olivia Giacobetti imagined the scent for this particular hand cream – Iris, with a silky, floral elegance and soft, tender notes. Romance in a bottle… Cramele Recas have the perfect treat for the lady who has everything. Bringing back their traditional white wine expression, this particular Pinot is actually named after the ancient Romanian spring tradition of Martisor, where men offer a gift to the special women in their lives as a mark of respect and admiration. 8000 years ago, the Martisor was two twisted threads of wool worn as a bracelet for the whole month of March as it was said to give women strength and health. Best paired with chicken, seafood or light cheeses, the Martisor Pinot Grigio (£7.49) has aromas of melon, fig and peach on the nose, with peach and red apple on the palate. From chokers to chains and from bridal collections to corals, Merola in the heart of Knightsbridge is a treasure trove of unique pieces of jewellery which you won’t be able to tear yourself away from! 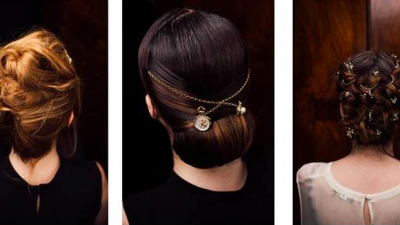 Stocking statement costume jewellery by the iconic American jewellery designer, Kenneth Jay Lane who counts the late Audrey Hepburn and Sarah Jessica Parker among his many celebrity fans, Merola’s collections are all in a class of their own. Susannah Hunter’s Valentine’s Day clutches which have been especially designed for February 14th, are bound to be the accessory of choice long after the champagne has been poured or the flowers have been delivered! 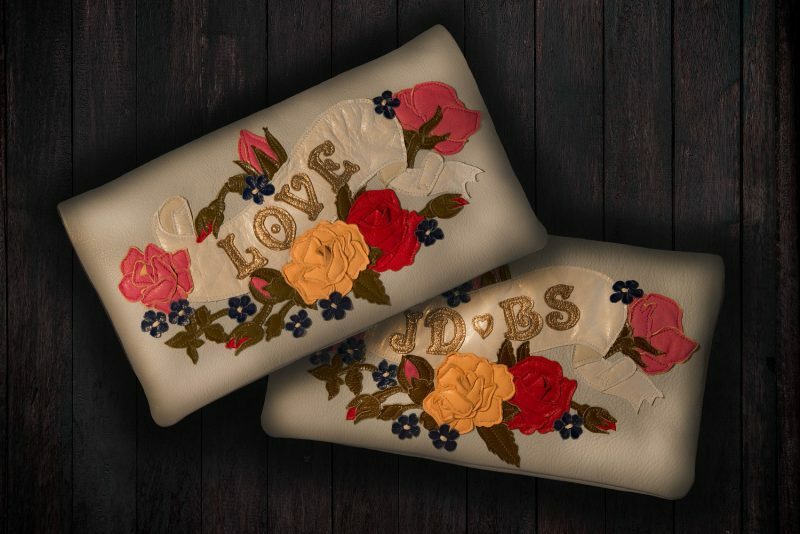 The £360 leather applique bag inspired by an original Victorian sweetheart postcard, is both stylish with a bang-on-trend floral design, whilst also staying true to the hopeless romantic. The clutch which comes in perla, can also be customises with up to six or seven letters and will transition easily from day to night with any outfit. Lily Gabriella’s Love Me and Forget Me Knot collections are perfect for Valentine’s Day. While the knot designs form the signature collection in 18kt gold from warm rose to intense black, they symbolise eternity, merging design with delicacy. The fun and quirky Love Me collection will appeal to those with a playful side with enchanting and whimsical designs. Or go all out, indulge and invest in something as gorgeous as the Spira full pave set ring 18kt rose gold with 6.95ct of rubies. #lustlist. Click here to check out the collections in full.